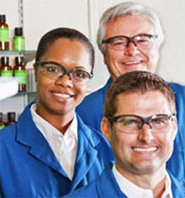 Phase Technology Technician Training Programs are available for both laboratory and online analyzers. Phase Technology Professional Technician Training Certificate Program gives analyzer operators a comprehensive understanding of cold flow property testing, correct operation of analyzer instruments, and long-term maintenance procedures. Participants receive first-hand training from Phase Technology scientists, technicians and senior staff so that they know how to properly operate equipment. This 2-day training session goes beyond the basics and into the science behind the testing. Classroom training provides you with an environment that includes a lab, an instructor, and structured teaching. A comprehensive collection of training modules are delivered as one seamless course to satisfy the need for both foundation-level and advanced-level training. Training in a classroom setting gives you the opportunity to exchange ideas with other analyzer users and learn alongside your peers, who face the same daily challenges. You receive a workbook and additional resources for continued study after the class ends. The Phase Technology Professional Technician Training Certificate Program is offered at our Canadian headquarters and at other select locations. Enrollment is offered to participants from companies that own Phase Technology analyzers; classes are limited to 10 people. We provide meals and refreshments during the day sessions. Cost per participant is $1800. For operators of our online process analyzers, the Phase Technology Online Process Analyzer Training Program covers similar curriculum with a concentrated focus on maintenance and user serviceability. Cost per participant is $2500. Visit our Upcoming Events page for a complete schedule of dates and enrollment information, contact us. Introducing the Phase Technology JFA-70Xi Jet Fuel Analyzer: The world’s first and only instrument that performs three crucial tests in one unit, freeze point, viscosity and density. And, it does it all in less than 15 minutes! “Thanks again for the recent online analyzer training. It was a well organized and laid out course. It balanced out both theory and hands-on troubleshooting parts. Very good.